Stand to win a rhino experience at a game reserve in KwaZulu-Natal and participate in the darting of a rhino for conservation purposes. If you don’t have 50 000 miles to donate, you could still support the cause by donating your miles that are about to expire. This will allow us to free up other resources for our environmental work. 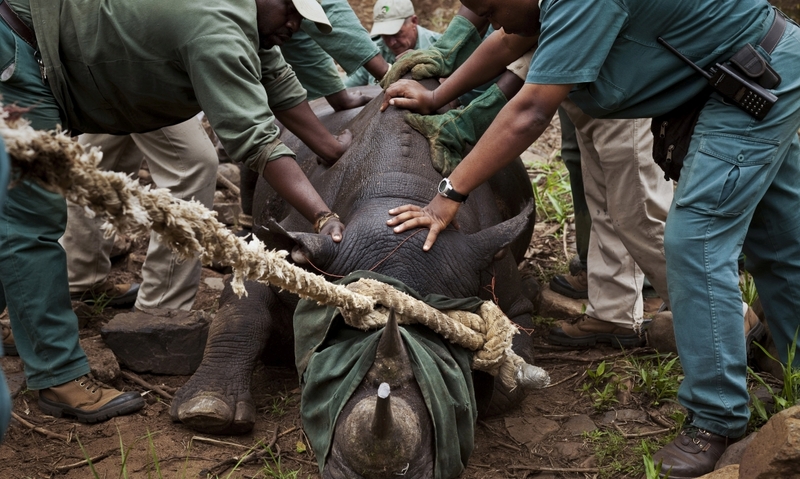 A game capture team works on a black rhino during a translocation for the Black Rhino Range Expansion Project.